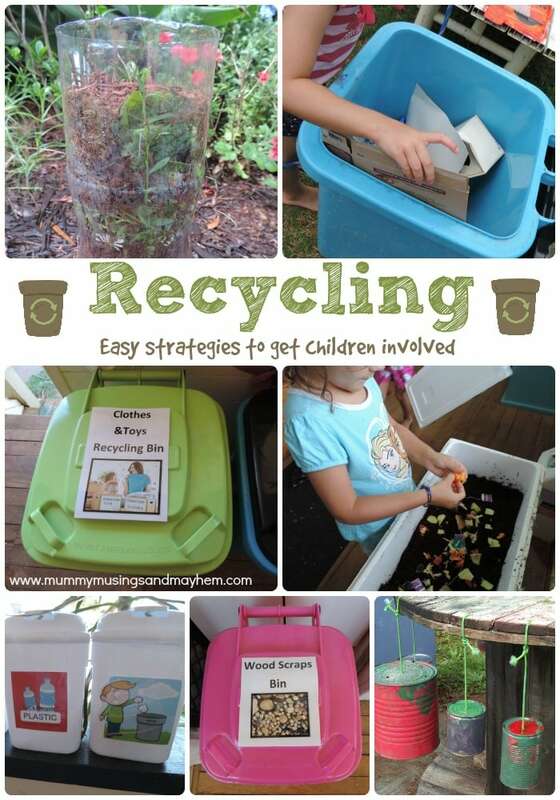 Recycling with children – easy ideas to get them involved! We all know that recycling is important for our community and world as a whole and most adults now contribute in some way to the recycling process but to truly make a difference it is up to us as adults to ensure children understand why we need to recycle and look after our Earth. 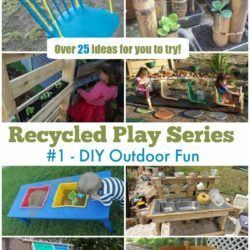 Regular readers will know I often promote the benefits of play based learning and recycling and sustainable practice is no different. If you want children to participate in their learning you need to find ways to get them actively involved. Support them to be active learners rather than passive bystanders. But how do we do this? I’ve got 6 strategies for you to share with your children and the best part is you can easily get them started today! If you would like to download a free PDF print friendly factsheet outlining the information in this article to refer back to or reflect upon later just click on the image below and tell me where to send it! Give children the role of family compost monitor. If you have a family compost bin in the garden or a worm farm or even some chickens, children can help to collect kitchen scraps in a special bucket or tabletop bin with a lid and carry them out to the garden bin or feed the worms and chickens. 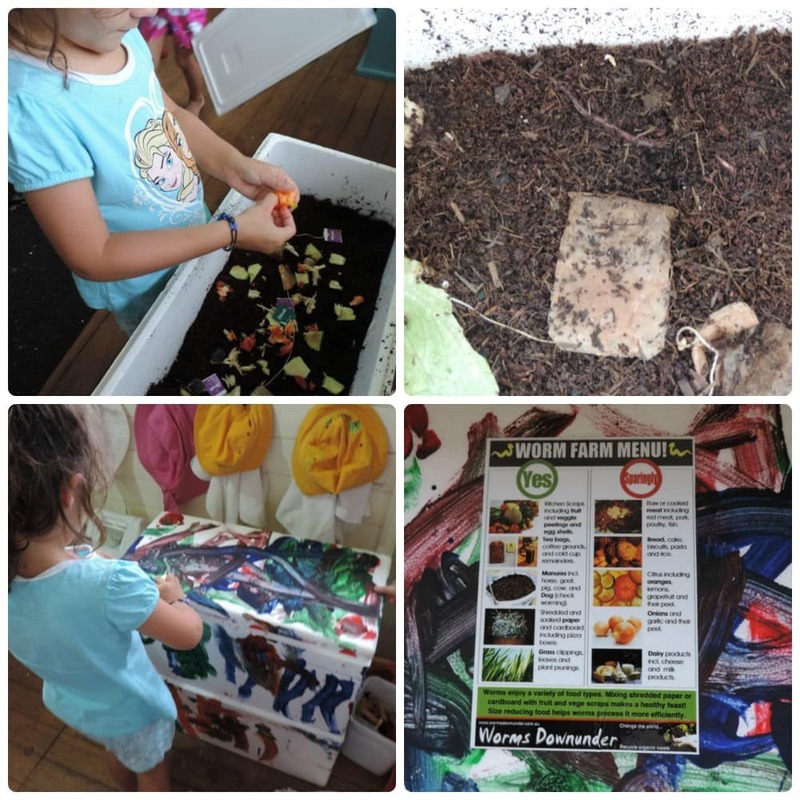 Talk about what can go in the compost bin and what shouldn’t. They can also collect leaves, weeds and other green material from outside to also put in the compost bin. Give your compost monitor a child sized rake and shovel to help with their important role. 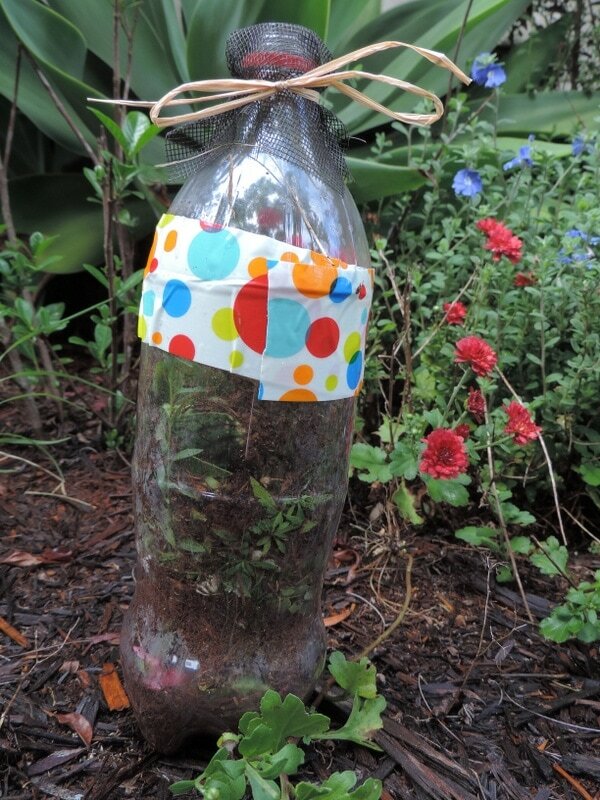 Why not try this easy compost bottle activity to show children how composting works on a small scale. Collect an empty water or soft drink bottle, wash and remove the label. Cut the top of the bottle off about 1/4 of the way down as seen in the pic below. Keep the top of the bottle as you will need it later. Walk around the garden with the children and help them to add layers of damp soil, green waste and a little shredded paper. Mist with water as you add each layer. 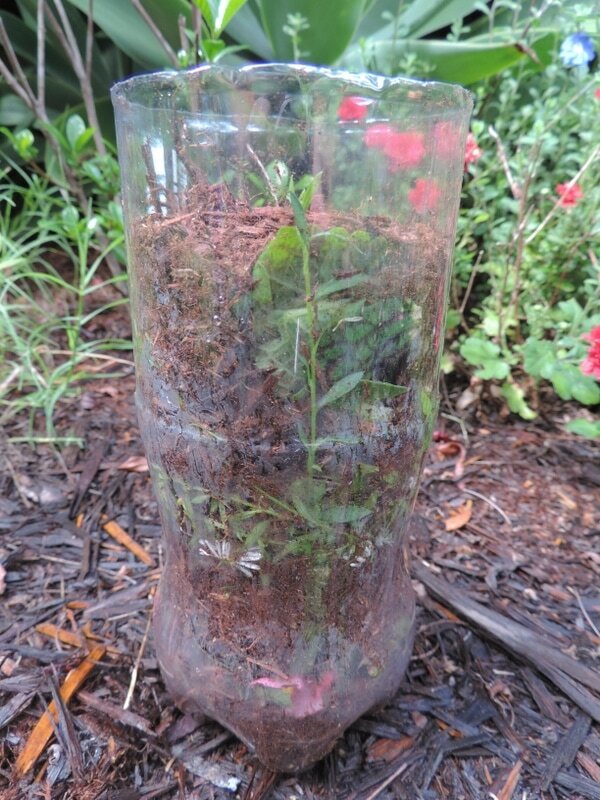 Add a little gauze or fly screen to let the air in and then it becomes a living visual display of composting in action. As the green waste and paper breaks down you will be left with a bottle of compost the children can add to the vegetable patch. 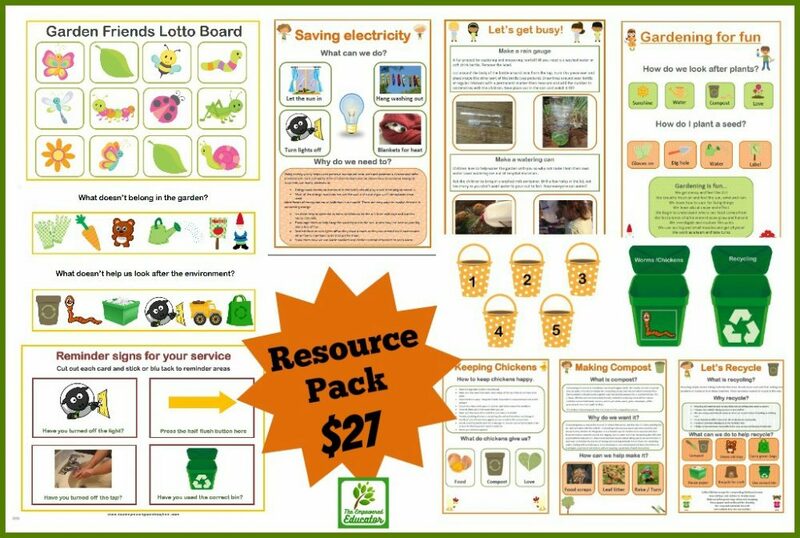 You can find more printables like the one below in my Sustainability pack for educators. Encourage and support children to go through their toys and clothes every 6 months and choose some things they no longer use to give to the local op shops. Use this as an opportunity to talk about recycling clothes and toys so that others can reuse and love them too. With older children you can talk about how some children aren’t as lucky as them and often need to rely on the support of others to provide essentials they take for granted like warm clothing and toys. 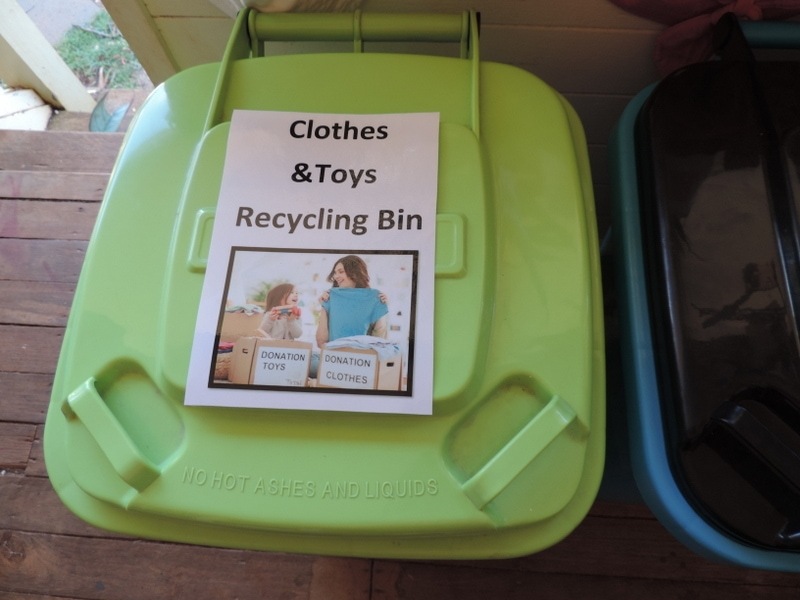 In my family day care service I also have a mini wheelie bin set up for the children to place their clothing and old toys into so that we can then talk about where I will take their donations when the bin fills up. Some times we swap among other families also attending my service. Most children here in Australia will recognise the green reuseable shopping bags or perhaps have a colourful favourite of their own. Next time you go shopping chat about how clever it is to be able to take the same bag and use it over and over rather than throwing a plastic bag in the bin and adding to our rubbish pile. Help them to feel important by putting them in charge of holding the bags for you until you reach the checkout. You can also encourage older children to keep the bags clean and then fold and store them for next time. This is an easy one but you will be surprised how excited children can get about something simple if they feel they are being useful. 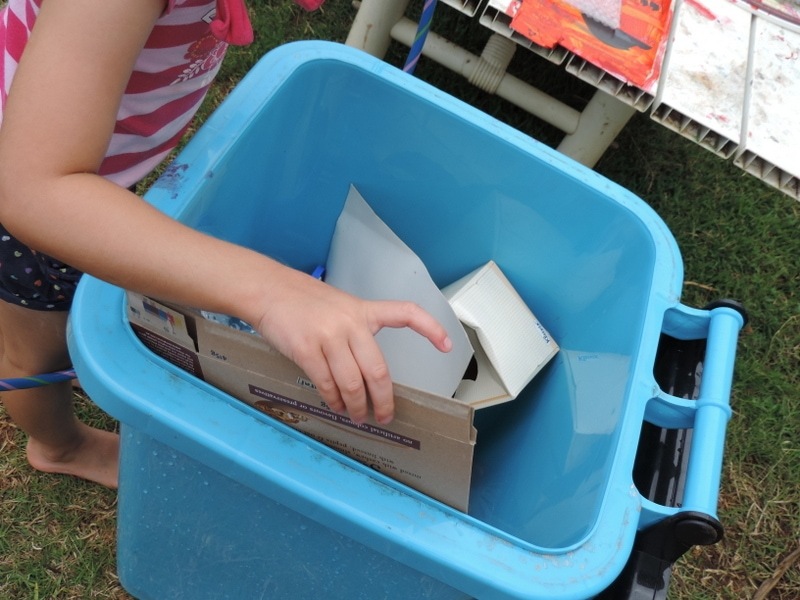 Set up a box or bin and provide some craft materials for children to decorate their paper recycling box. Give them the task of collecting newspapers, magazines and junk mail when other family members are finished with them and putting them in the box. When their box is full help them to tip it into the large household recycling wheelie bin for collection or take down to your local recycling centre. Children attending a child care service will love to be involved in bringing paper from home to put into the class collection bin. 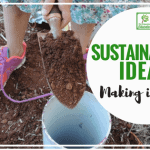 Use the internet to show them photos of how paper is recycled to make new products and discuss how they are helping to save trees and keep our air clean. This is my personal favourite and my own twins absolutely love this job. 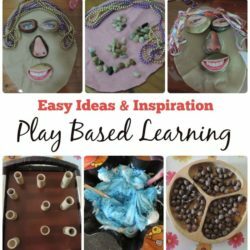 Show children the value of collecting unused materials from around the home that they can choose at a later date to express themselves creatively. Talk about the concepts of reusing, upcycling and reclaiming to make something ‘new’. 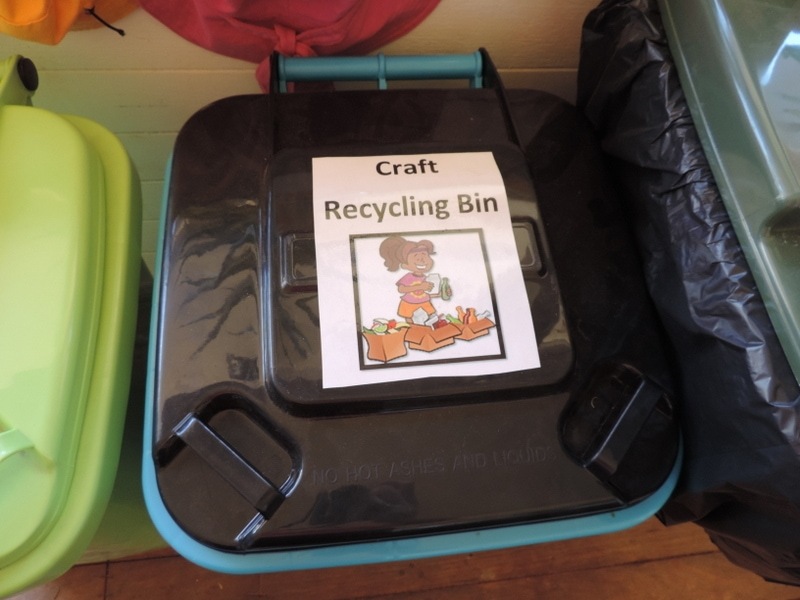 I often just wheel this bin out when it is becoming a little full and just step back and watch as the children pick through and find their favourite pieces to create with. It doesn’t matter what the end product looks like, it’s all about the process and it offers you many intentional teaching and conversational moments. 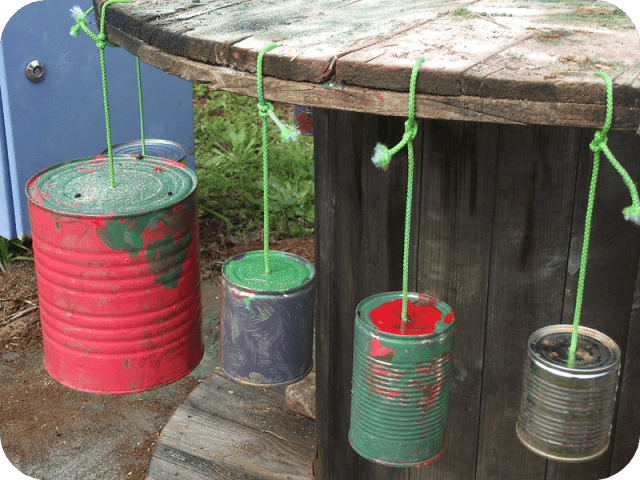 Show them how to make simple resources they can also use in their play like these paint squirt bottles and outdoor musical spool. 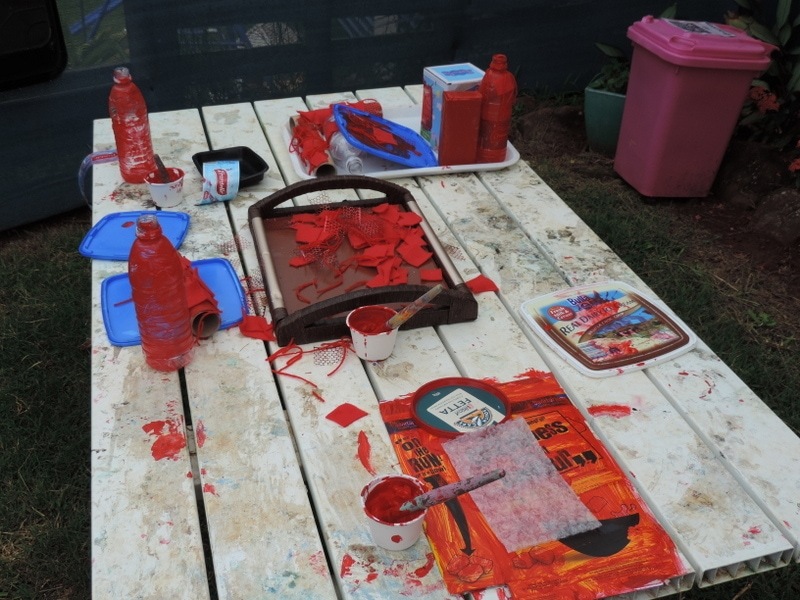 Involve them in using the recycled materials to make new crafting resources. 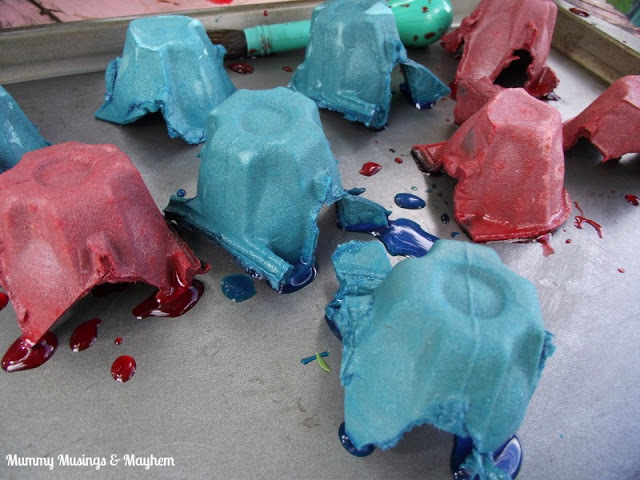 We used these dyed egg cartons to do some threading! 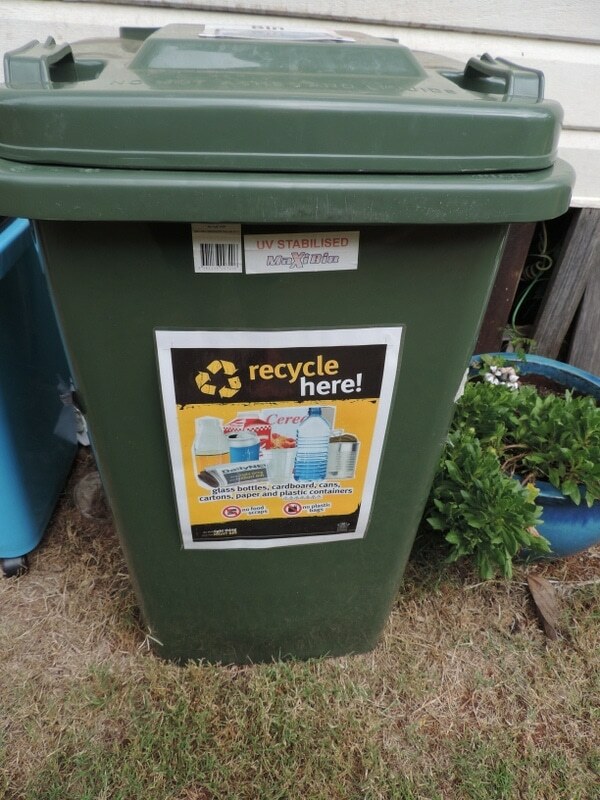 Most councils now have a recycling and waste program in place. Where I live we have a rubbish bin, recycle bin and organics bin. 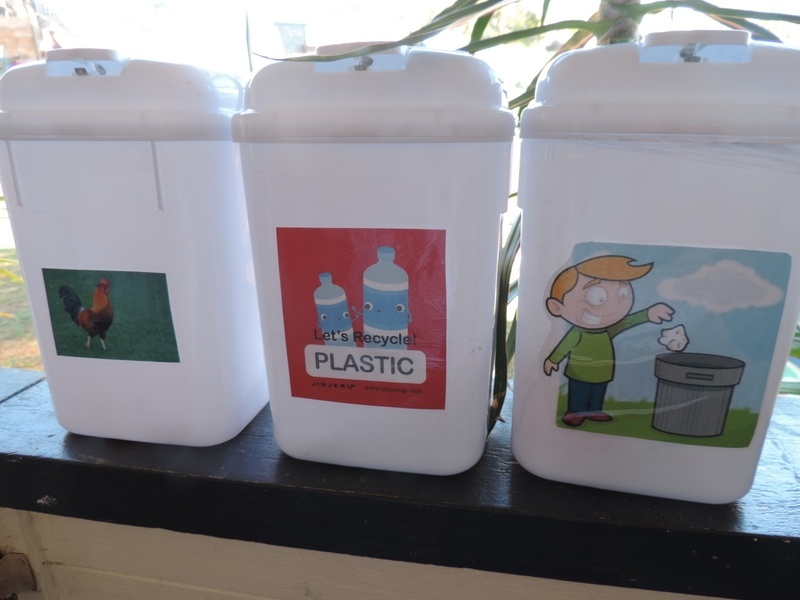 It’s important that we put the right waste in the right bin so take a little time to educate yourself about the program that occurs in your local area and then consider taking this concept to a smaller version to include children. 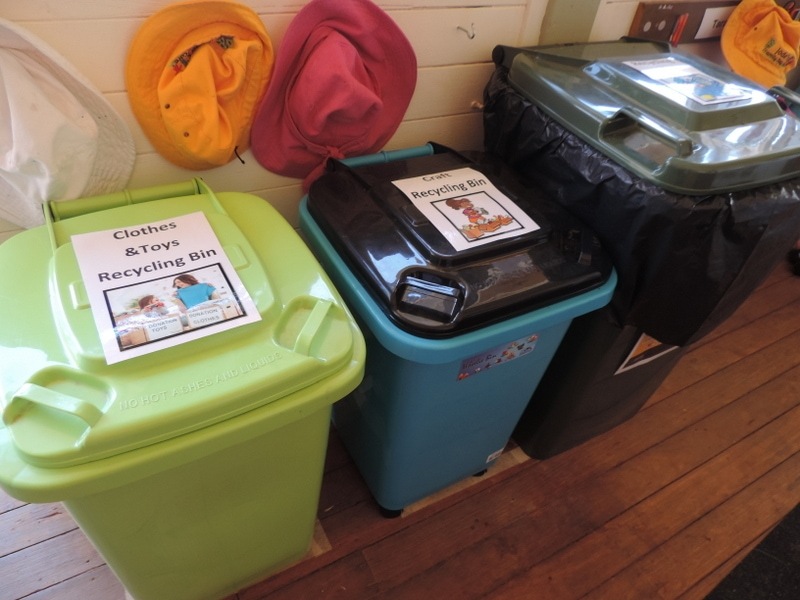 Support children to recognise what the different bins are for and what they can put in each. 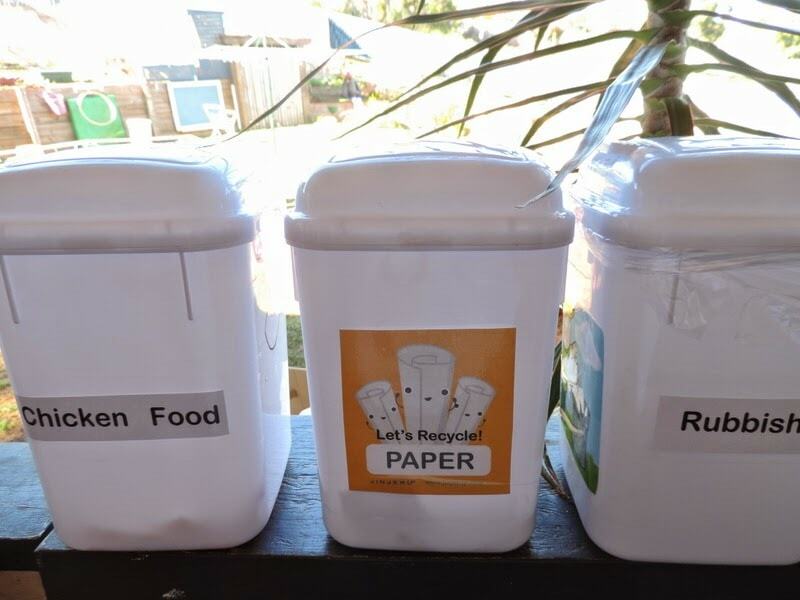 At meal times I have small bins that I place on the table so that children can actively participate in putting their waste into the right bin. 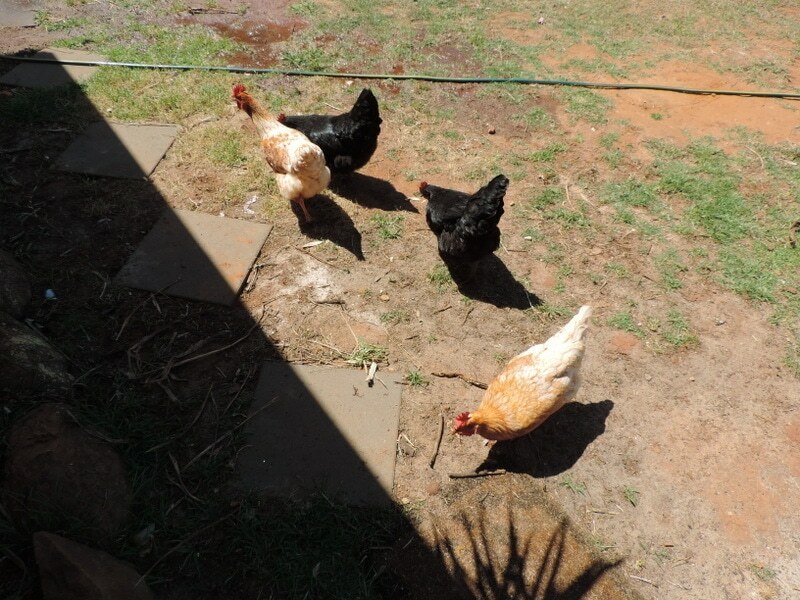 They enjoy the sense of responsibility and they regularly help me to transfer from the small bins to our household bins or we go for a walk to feed the chickens from our scrap bucket. For younger children be sure to give them visual clues, it’s not enough to just write what each bin is for. I have writing on one side of the bin and a picture on the other. Encourage older children to guide the younger children. When doing crafts with paper I always have the small paper bin close by on the workspace so they can add their scraps straight away. 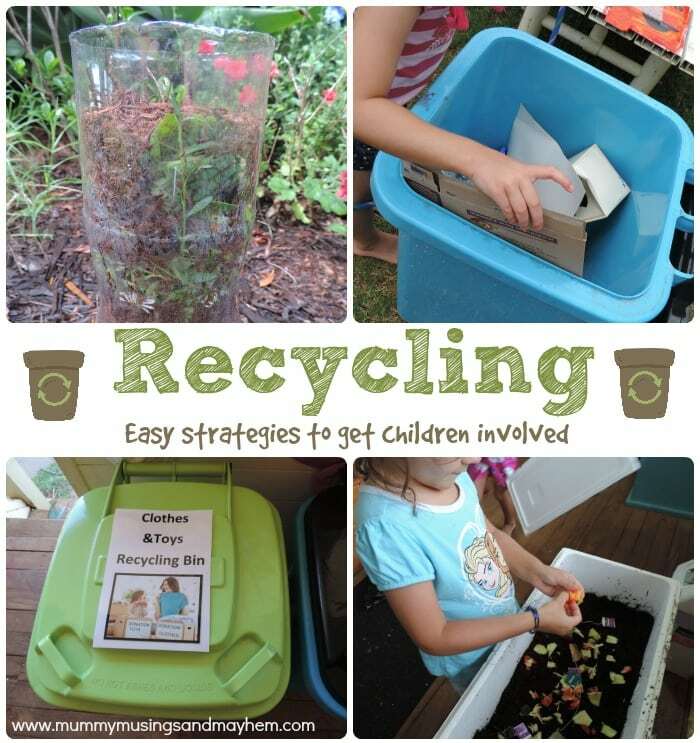 There you have it – 6 simple ways to support children to be actively involved and enthusiastic about recycling while they are also learning. If we all take a little time as parents and educators to help children grasp these important basics I think we will leave our precious world and all its resources in very capable hands. 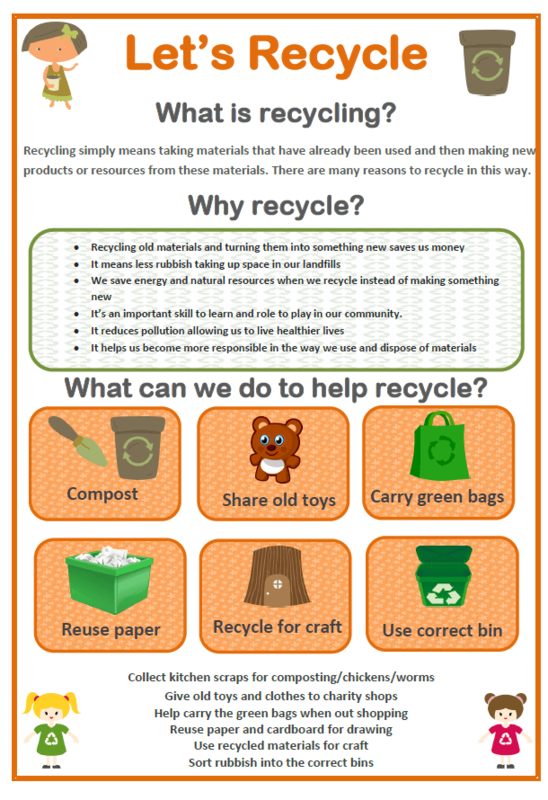 Do your children like to recycle or help you to do so? More ideas and support below! 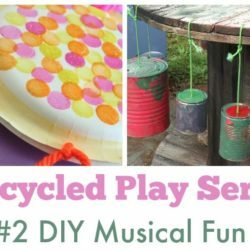 DIY Recycled Play Series #2 – Musical Fun! 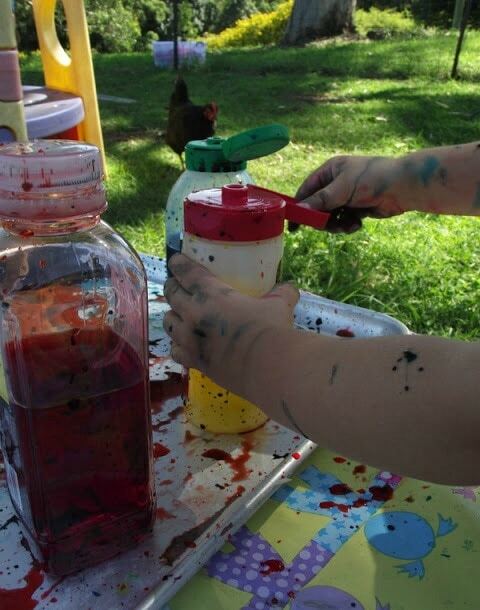 Sustainability – How can Early Years Educators show evidence of embedded practice? I see you’ve a really happy spent time! Recycling is such a fun! Usually we collect waste and useless stuff and then all the family gather together and come up with various crafts!